Given an extensive discography that varies between the sublime (the studio version of Cream, Layla) and the ridiculously naff (anything resembling Wonderful Tonight) my approach to a new Clapton recording invariably involves scrutiny of his collaborators on the project in question. Given the intersection of superstar guitar hero status and an inclination to veer straight into the worst excesses of the middle of the road (I mean, how else do you explain Wonderful Tonight?) Clapton's at his best when he has someone to spark off who'll also spark off him (a la Derek Trucks and Doyle Bramhall on the mid-noughties world tour or the late great Duane Allman) rather than deferring to The Man Who Was Once God. If that sounds like a put down, I'd point out my Claptonic wish list includes something along the lines of the item under review involving gospel music and Robert Randolph and a recursion into Delaney Bonnie & Friends territory with the latter day reincarnation of DB & F (Derek Trucks, Susan Tedeschi and the rest of the Tedeschi Trucks Band). 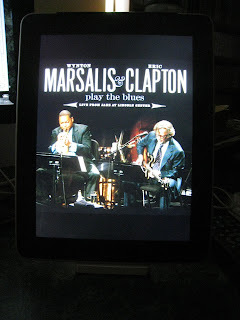 Wynton Marsalis and Eric Clapton Play the Blues (Live from Jazz At Lincoln Center), recorded at New York City’s premier jazz venue isn't quite up there but it ain't too shabby either. Assuming, that is, the listener shares Hughesy's affection for the music of New Orleans. If traditional jazz gives you the heebie jeebies this one ain't for you, folks. 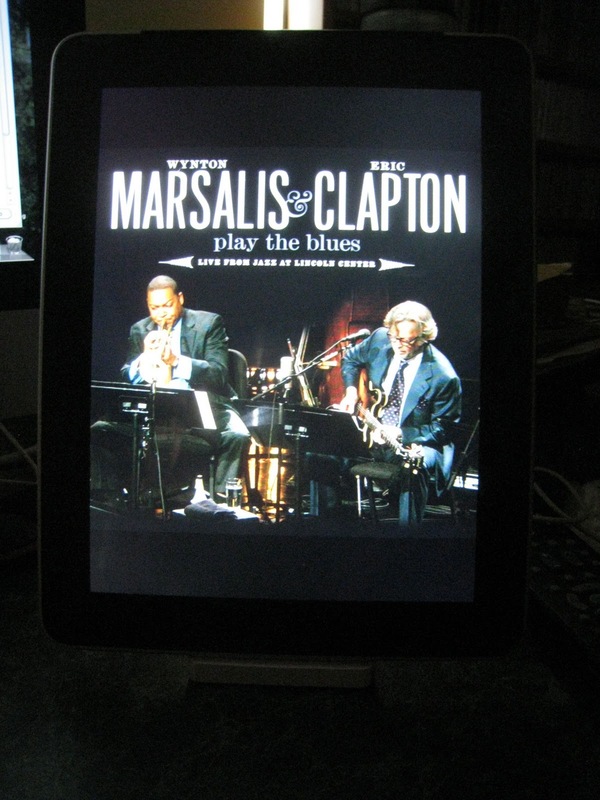 For a start we've got a collection of material selected by Clapton and arranged by Marsalis, and given Marsalis sits very firmly in the traditional side of things we've got a very traditional sounding effort. That's not to suggest it's all traditional material. Howlin' Wolf's Forty-Four gets a guernsey, as does Layla, rearranged as a Crescent City dirge at the request of bassist Carlos Henriquez. Taj Mahal drops by to contribute vocals to Just a Closer Walk With Thee and Corrine, Corrina and Clapton's happy to play rhythm rather than dominating the spotlight, though he does contribute most of the vocals. We're looking at a lineup based on King Oliver’s Creole Jazz Band plus two (Clapton's electric guitar and Chris Stainton's piano) playing material stretching from from the rumbunctious hokum of Ice Cream to the spiritual (Just A Closer Walk with Thee) with a variety of staging points in between, all of them rounded into a setlist that works very well as a whole. The trumpet shines throughout and the rest of the lineup isn't far off stellar in the style. Your mileage may vary, but this one sits somewhere between 4* Quality recording worth a serious listen and 3.5* Interesting but non-essential. Listening as I type I'm inclined to round it up rather than down.